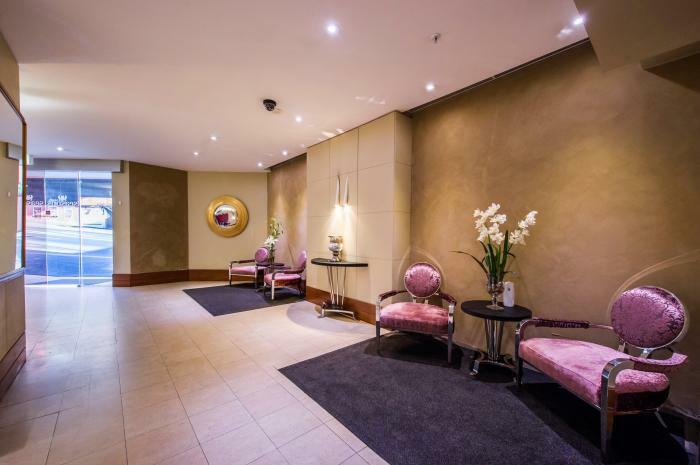 Located in vibrant Darling Harbour minutes away from all the major attractions that Sydney has to offer, Seasons Darling Harbour offers a range of holiday apartments and spacious hotel suites designed to be your home away from home. Guests to the property will not be disappointed with the array of entertainment and culinary options at their very door. Cockle Bay, King Street Wharf, Chinatown and Town Hall are all a stone’s throw away not to mention the shopping areas of George Street and Pitt Street Mall. 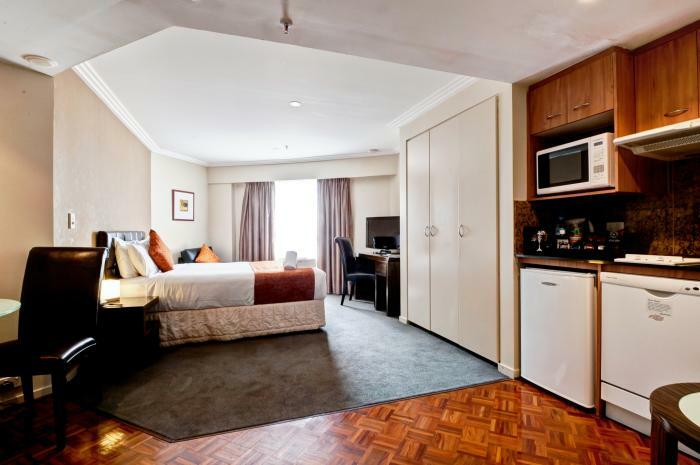 Apartment types range from studio suites to one bedroom suites all with air conditioning, private marble ensuites with a phone in the bathroom, cable TV, internet access, minbar in room plus a clock radio, microwave, tea and coffee making facilities and an alarm clock. 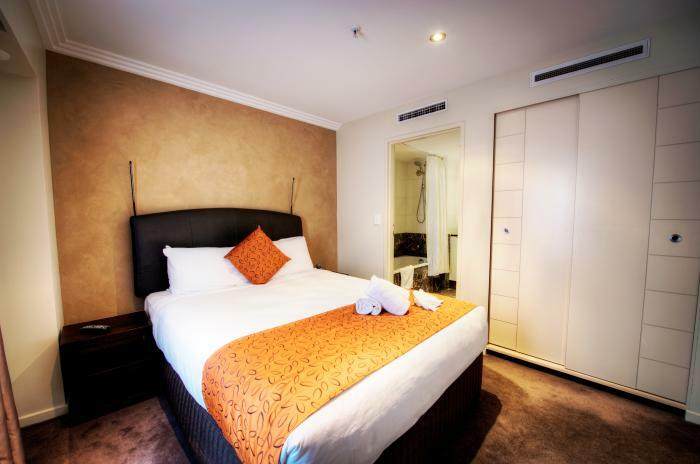 Business travellers will appreciate the addition of a two line phone in the bedroom with speaker phone capabilities. 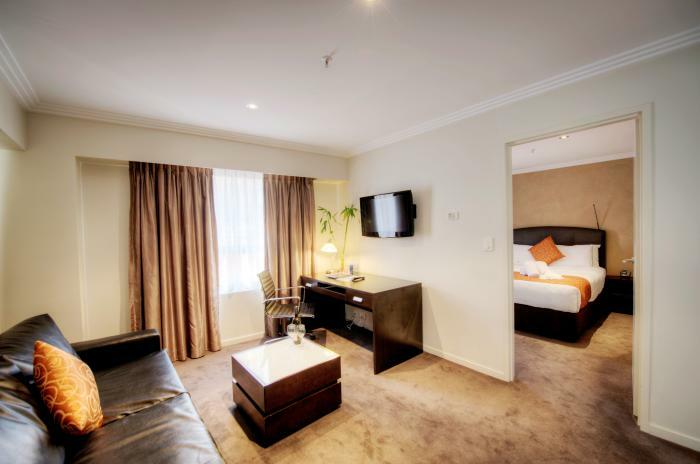 Hotel facilities include valet and dry cleaning services, 24 hour reception, tour booking and car hire. There is a range of business and secretarial services available, concierge services and 24 hour security. 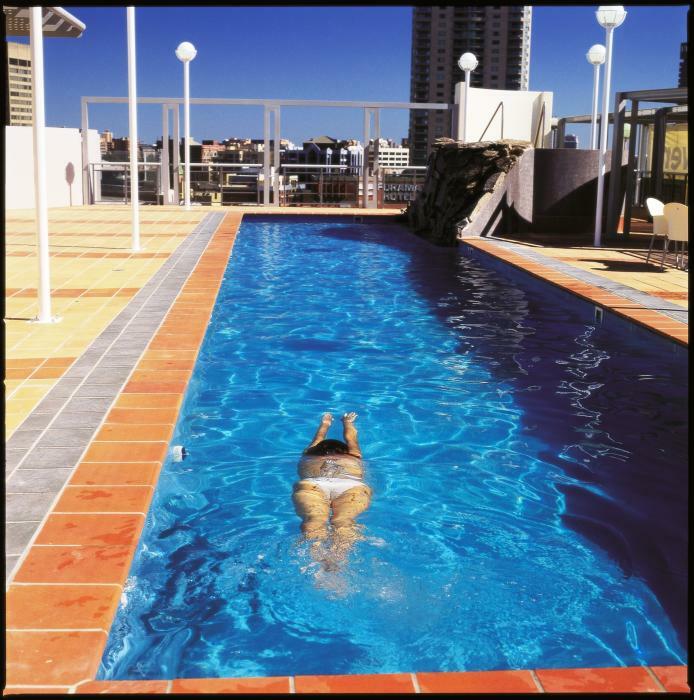 Guests are welcomed to enjoy the 18 metre heated rooftop pool, sauna, steam room and spa. 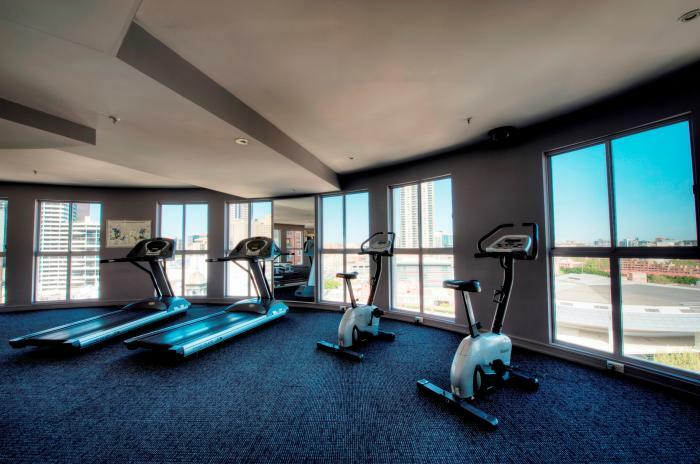 A state of the art gymnasium is also complimentary perfect for keeping up your fitness regime or working off those few extra pounds. Secure parking is available in the Dixon Shopping Centre located on Harbour Street. Directions to parking: Car Parking is available with "Secure Parking - Number 1 Dixon Shopping Centre" is available at the hotel for $45.00 per night or as per advertised packages purchased. 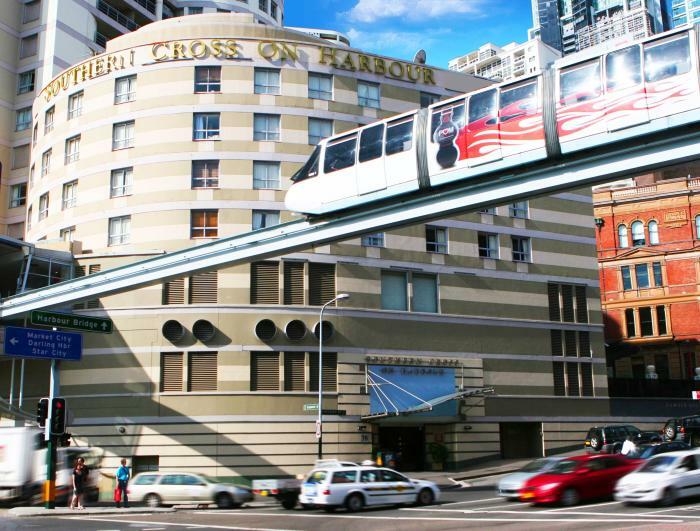 Hotel carpark entry is located on Harbour St with the nearest crossroad being Liverpool St. Entry is located to the left whilst traveling south. Look for the big blue parking sign and/or the "Secure Parking / Number 1 Dixon Shopping Centre" sign entry. Take an entry ticket and park at any available spot on Levels B1 or B2. Guests to Hotel Lifts is adjacent with signs present. A reminder to hold on to your parking ticket for validation at Hotel Reception. Please note, car park has a height restriction of two (2.0) metres. Seasons Darling Harbour is 8 out of 10 based on 1 customer votes & Yelp reviews.